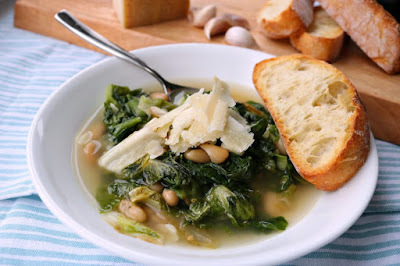 One of my favorite soups my mom used to make was this delicious escarole bean soup. 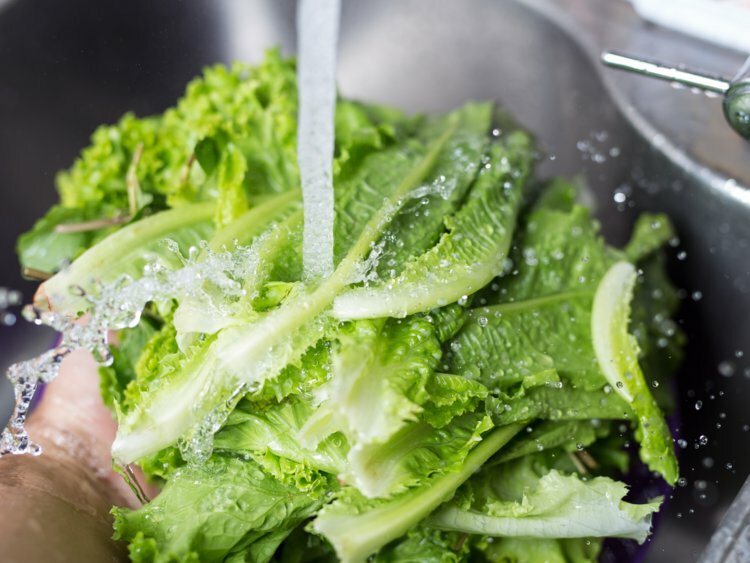 I'd watch her bring in batches of escarole to wash thoroughly in a strainer. 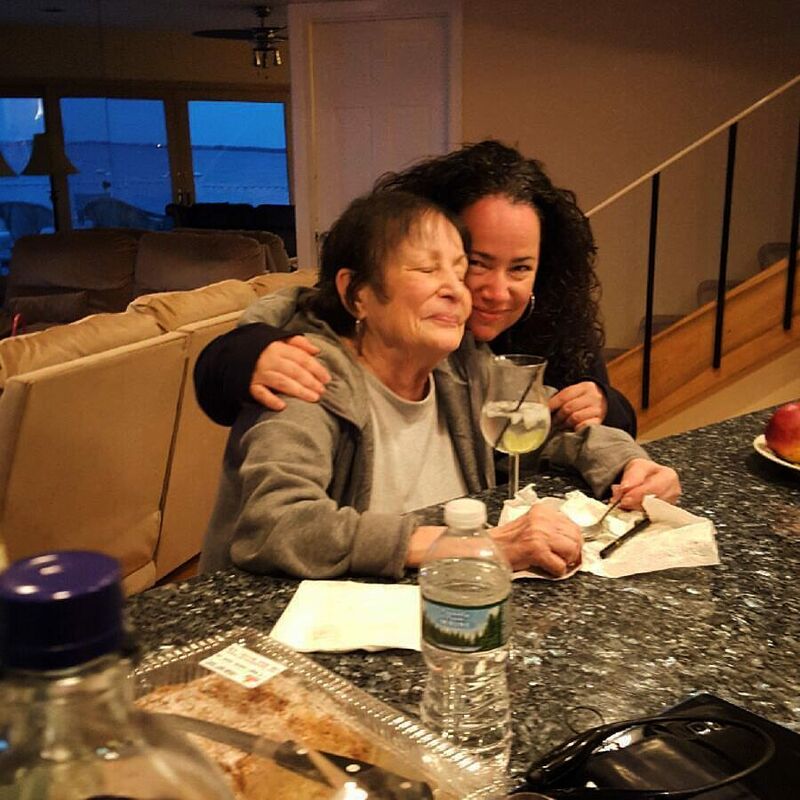 She'd always complained about how hard it was to actually clean the leaves, because they left a lot of sand on it, but in my experience in recreating her dish, I have never once found a grain of sand in mine. 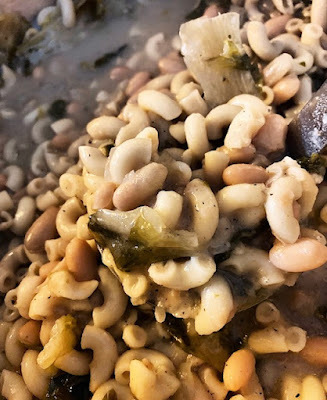 I'd sometimes beg her to make it and she would grumble, "Ugh, the work that goes into it---how about pasta fagioli instead?" Basically, pasta fagioli is the same soup premise, except it does not have escarole, and it requires one small can of tomato paste. 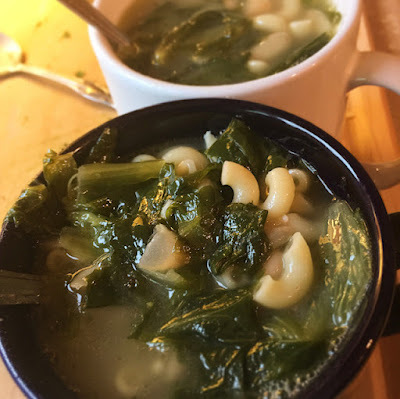 Escarole bean soup should be a neutral color in the broth. Some like it with the tomato paste, but it gives it an entirely different twist that I'm not crazy about. I will say this: if you're suffering with a cold, it's a great soup to make because it requires a whole lotta' garlic and onions! Every scoop is packed with garlic---at least mine is. So first you want to start off just as you would a marinara sauce or a pasta fagioli. Pour a little olive oil on the bottom of the pot, so you can simmer the herbs. Let that sizzle and sauté until your house smells like heaven. Don't burn the herbs though! Let it sizzle for like 25 seconds! While that's simmering nicely, grab your escarole and start washing! It's about 2 1/2 heads of escarole, 3 if you're lucky enough to fit it in! It's never enough in my opinion! Then rip them into pieces, whether you prefer smaller or larger leaves. I prefer them to be a bit on the larger side. After 30 minutes, pour in (depending on the size of your pot) 15-20 cups of broth, let that come to a simmer. Then add in the escarole piece by piece, squishing down the leaves so that they can shrink in the soup. When you finally have all of the washed leaves into the soup, let that come to a small boil and wait it out for like 10 minutes. Last step: throw in 1 lb of elbow pasta and sprinkle the soup with a generous amount of parmesan cheese. Put on the lid and push it over to the side and let the pasta soften up on its own. Do not boil the pasta first! This can be enjoyed with some good Italian bread paired up with a chardonnay. For Deb's main blog, please visit: www.debrapasquella.com and join her on Twitter & Facebook for updated recipes and articles! 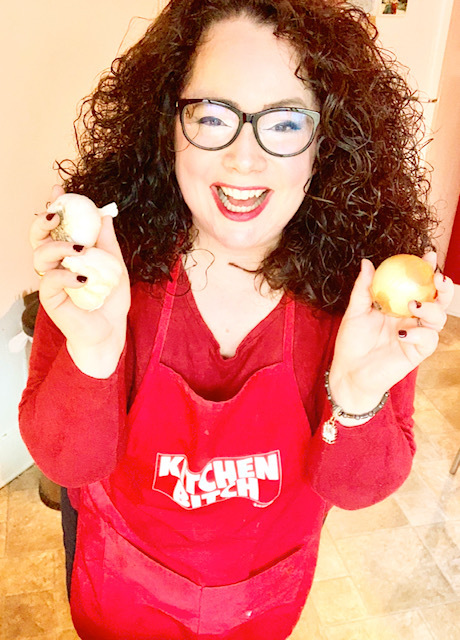 Also, please send her photos over on Twitter if you made one of her recipes!